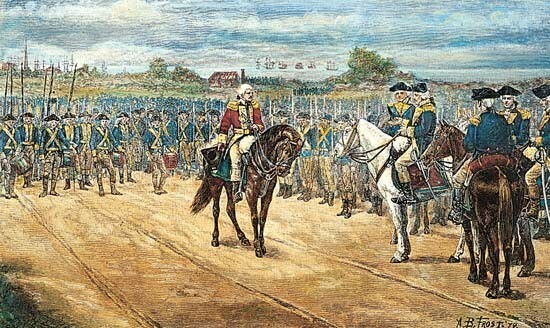 Charles Cornwallis helped lead 9,000 British troops at Yorktown in the most important battle of the Revolutionary war and George Washington. The date is 1781 and they are in Charleston, South Carolina. Another important person is George Washington (which is the leader of the continentals) . This led to the treaty of Paris which lead to the end of the war. The British government found out France was helping the Americans and the British army moved their attack from northern colonies to southern colonies and although this wasn't all the army it was a big enough force to cause the British to start thinking they were going to lose the war. Losing the battle was not worth keeping the colonies. This opened the door for the Treaty of Paris. General Charles O'Hara carried Corn Wallis sword when Charles when he got sick. The patriot victory at Yorktown ended fighting in the American colonies. After the battle a man went to look for his friend and 34 year old, Martin Comraz was dead. This lead to the treaty of Paris. The treaty of Paris ended the revolutionary war. should americahave fought in the war? I think we shouldn´t have fought in the war because we lost a lot of people.